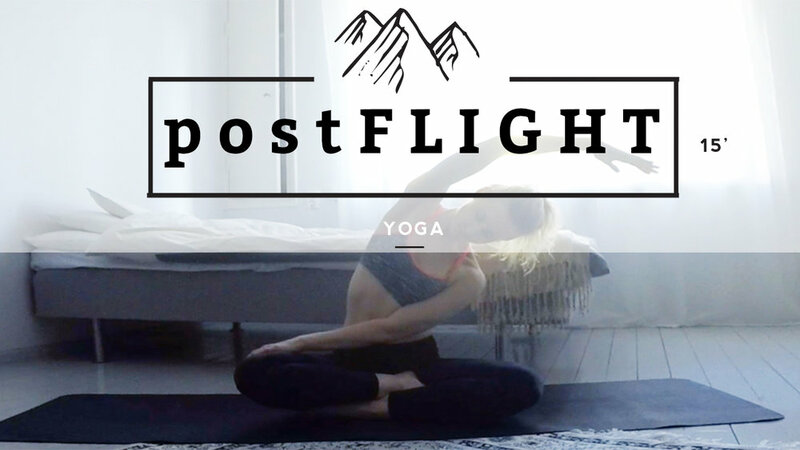 During August I released a new travel themed yoga video every week. Here is the entire collection of those videos. The short 10-minute videos show you routines that you can do before you travel, during the travel and after your travel. I travel a lot, especially on airplane and I mostly sneak into the airplane restroom to do all the stretches but if there is enough space I might be doing some yoga moves on my seat or on the corridor. I haven't yet seen any fellow travelers jump into an asana in the plane but I have heard that it's not that uncommon at all.